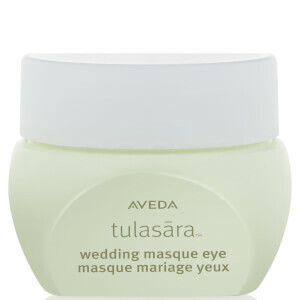 Awake to a luminous eye area with the Aveda Tulasāra™ Wedding Eye Masque; an ultra-rich, overnight mask that works to visibly brighten skin at the delicate eye area. 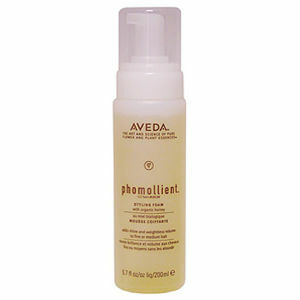 The creamy formula works whilst skin is most receptive to transformation. Supporting the natural repair process, the treatment boasts an effective blend of Plant Stem Cells and Organic Apricot Seed Oil. Also enriched with Algae and Tumeric extracts, the eye mask is able to reduce the appearance of under-eye puffiness, combat uneven skin tone and visibly eliminate dark circles. Expect to wake to luminous ‘wedding day’ eyes where skin appears visibly firm, lifted and radiant. 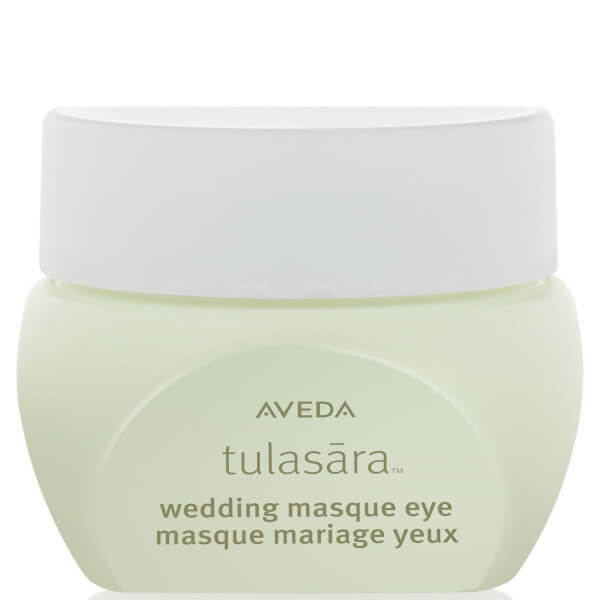 Using ring finger, apply Tulasāra™ Wedding Masque Eye Overnight gently around the eye area, in circular movements following the direction of the brows. Leave it on, go to sleep and wake up to luminous eyes. Water\Aqua\Eau, Caprylic/Capric Triglyceride, Glycerin, Theobroma Grandliflorum (Cupuacu) Seed Butter, Squalane, Cetearyl Alcohol, Behenyl Alcohol, Butyrospermum Parkii (Shea Butter), Carthamus Tinctorius (Safflower) Seed Oil, Sorbitan Olivate, Cetyl Alcohol, Coco-Glucoside, Algae Extract, Glyceryl Stearate, PEG-100 Stearate, Prunus Armeniaca (Apricot) Kernal Oil, Solanum Lycopersicum (Tomato) Fruit/Leaf/Stem Extract, Solanum Tuberosum (Potato) Pulp Extract, Rubus Idaeus (Raspberry) Leaf Extract, Curcuma Longa (Tumeric) Root Extract, Acetyl Hexapeptide-8, Prunus Amygdalus Dulcis (Sweet Almond) Seed Extract, Sigesbeckia Orientalis (St.Paul's Wort) Extract, Glycyrrhiza Glabra (Licorice) Root Extract, Asparagopsis Armata Extract, Ascophyllum Nodosum Extract, Hordeum Vulgare (Barley) Extract\Extrait D'Orge, Cucumis Sativus (Cucumber) Fruit Extract, Molasses Extract\Saccharum Officinarum\Extrait De Melasses, Olea Europaea (Olive) Fruit Oil, Hydrogenated Olive Oil, Olea Europaea (Olive) Oil Unsaponifiables, Caffeine, Tetrahexyldecyl Ascorbate, Cholesterol, Helianthus Annuus (Sunflower) Seedcake, Elaeis Guineensis (Palm) Oil, Chlorella Vulgaris Extract, Narcissus Tazetta Bulb Extract, Salicornia Herbacea Extract, Alpha-Glucan Oligosaccharide, Hydrolyzed Algin, Tocopherol, Sorbitol, Sea Salt\Maris Sal\Sel Marin, Dimethicone, Cetyl Esters, Aminopropyl Ascorbyl Phosphate, Lauroyl Lysine, Salicylic Acid, Caprylyl Glycol, Xanthan Gum, Sodium Hyaluronate, Glucosamine HCL, Citric Acid, Sodium Citrate, Phenoxyethanol.